Almost all of our readers should be familiar with Allo. And the full explanation is literally just below. But if you've been under a rock for the last year, the short version is that it is a messaging platform that makes heavy use of the Google Assistant to provide extra features. Sort of like Facebook Messenger and its M assistant, but with way more functionality. In its short history, Allo has seen a lot of criticism. That's mostly because a lot of people saw it as the replacement for Hangouts, and it wasn't quite able to fill those shoes at launch. From a certain perspective, Google did paint Allo as a Hangouts successor. 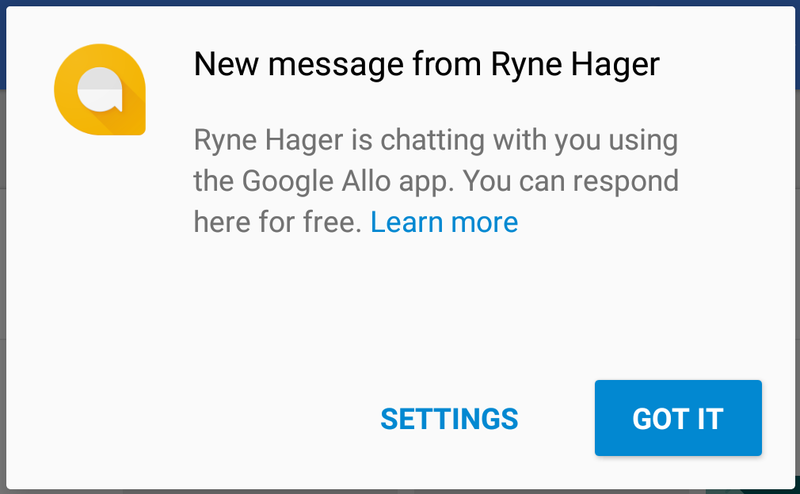 With the introduction of Allo it began removing popular features from Hangouts, and Google even publicly stated that Hangouts' future was in business use. Allo may have seen a lot of changes over the last year, and a lot of them were quite significant, but it really still hasn't been able to replace Hangouts. 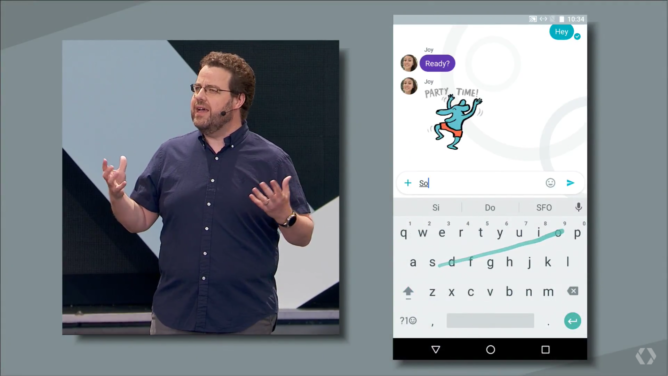 Last May pre-registration for Allo and Duo opened during I/O when they were both announced. From the beginning, it was evident that Allo had a different focus than Google’s previous messengers. On the surface, it seemed a bit insipid, like Google was trying desperately to “fun” things up, advertising features like stickers from the onset. 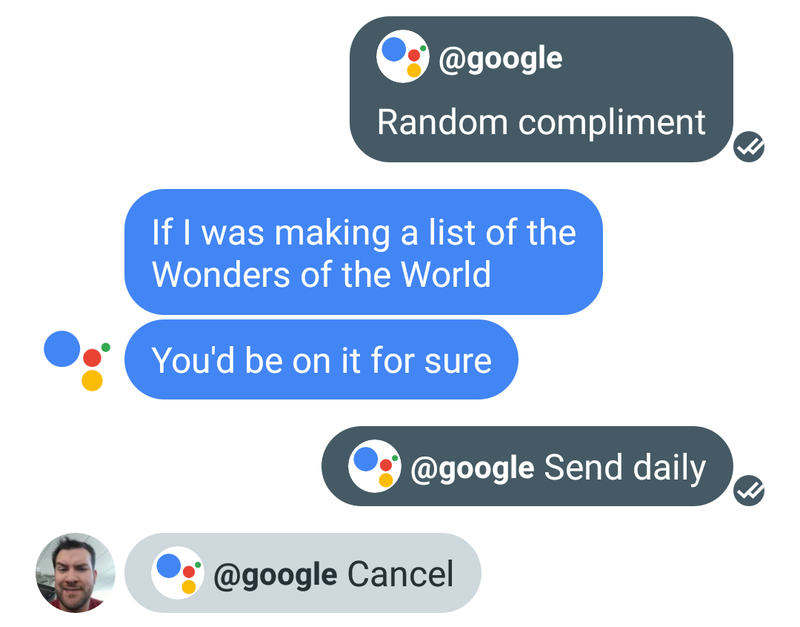 But Google also chose to bake its new Assistant into this new chat app, which was one of the first big indicators of how well integrated it had planned for the Assistant to be. To be sure, it adds a lot of extra functionality to a conversation, but I often forget that it's there. That is, outside intentionally triggering it for entertainment. It was obvious that Hangouts had reached the end of the road. From the start it was clear that Allo was just one small part of Google’s new AI-driven focus. Combined with Duo, the integration of the Assistant into Android, and the hardware effort of the Google Home, Allo almost felt like a tech demo. It was an interesting way to show off the new Assistant in action and see how it could be used in new and exciting ways. Immediately after it was announced, fears erupted that Hangouts would be replaced. Google reassured people that wasn’t the case, and Hangouts would stick around. But, as the months followed, Hangouts took hit after hit, removing things like merged conversations, moving Hangouts on Air to YouTube, and demoting the package in Gapps to “optional.” The new focus for Hangouts was to be business, after all. 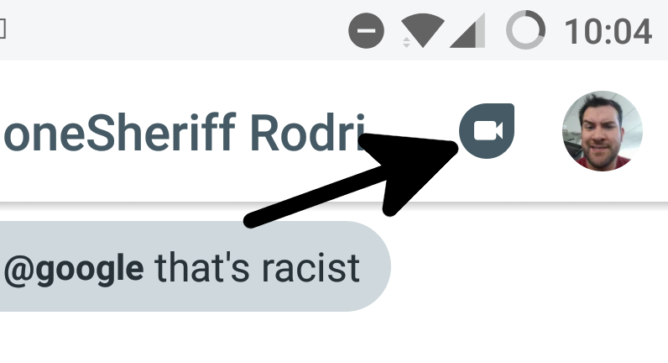 When SMS was finally removed earlier this year, it was obvious that Hangouts had reached the end of the road for most of us. 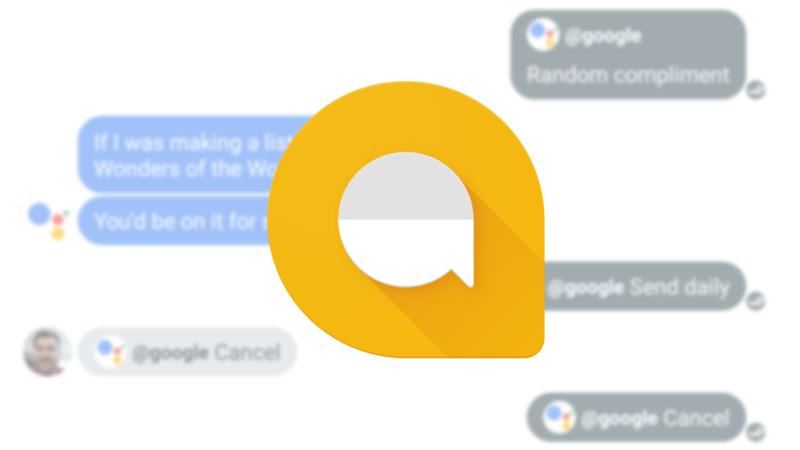 Allo was ostensibly poised to be the successor. From a technical standpoint, Allo sounded pretty nice. It supported end-to-end encryption, had the Assistant built in, and… well, there are stickers. While it had cool things going for it, Allo still sounded like it was going to be behind Hangouts when it came to basic capability. But more details would be forthcoming after 2016's I/O announcement. After an anxious four-month wait, Allo finally landed last September, on the 20th. With the release, we finally got all the details. Allo would be tied to our phone number, and that phone number could only be registered to one device (à la Whatsapp). At least initially, it would just be for phones. These were all drawbacks compared to using Hangouts, to be sure. But the big question on everyone's mind was, does Allo work with SMS? The answer was a complicated “kind of,” and what little support we got wasn’t really useful. Turns out, you can send someone that doesn’t have Allo a message, and it can be sent via SMS. But it works via an overly-complicated relay system with a random phone number, and for the recipient, it looks a bit spammy. It was a complicated solution for an easy problem that we called "almost worse than no support at all." Google had something in mind when they did it, though. They wanted to use every SMS as an opportunity to push Allo on the recipient, via the App Preview Messaging API. It allows the intended recipient to open messages sent to them from Allo in a pseudo-Allo-app, even if it isn’t installed on their phone. Rather than just bake in SMS support, as was often requested, Google was doubling down on Allo being able to seamlessly replace both. Or, at least, for it to harmlessly co-exist with your default SMS app. Allo also had some of the same disadvantages of its competitors, like iMessage, suffered from. Once it was linked to a phone number, messages sent in Allo required the app to open. If you uninstalled without unregistering your number, you’d have no access to or notification for those missed messages. Worse, if you registered it on another device, you’d lose your name, profile picture, chat history, and contacts. Allo sounded great in the abstract just a few months earlier, but it seemed to have quite a few drawbacks. Stickers make a poor replacement for SMS support and a desktop client. In no time at all it hit the #1 spot on the Top Free Apps chart for Google Play. It saw over 5 million total downloads in a bit over a week, which was insane. Allo may have had its problems, but it looks like the public was definitely interested. Just a short period later it began to fall, though. Turns out, Google isn't Apple, and Allo couldn't survive on hype alone. Once the novelty wore off, Google had to start adding features to be competitive. Allo started getting regular updates. Android Wear and GIF keyboard support, chat themes and expanded suggestions, and selfie stickers. But it didn't make a difference. Just a few months later Allo had fallen so far that it wasn’t even in the top 500 free apps anymore. 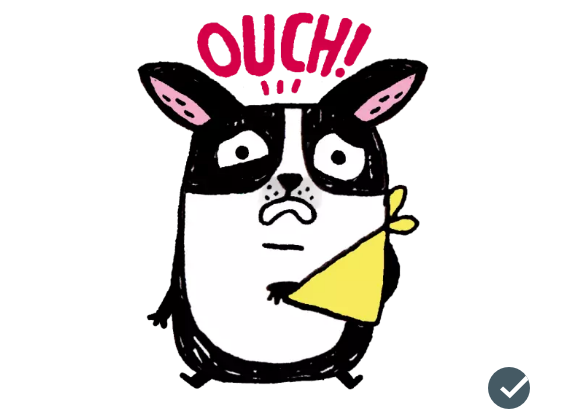 It turns out, stickers make a poor replacement for SMS support and a desktop client. Starting late this winter, we heard rumblings that a web client was in the works. And again, excitement started brewing. Things began to turn around, and genuinely useful features started being added, like filesharing. Maybe Allo can replace Hangouts for consumers after all? Chat backups were finally added. Eight months after launch, you could actually move between devices without losing your Allo messages. Google found its groove, and user-requested features were finally being added to the service. Ever since launch, Allo and Duo didn’t actually work together, even though their names and announcements would seem to imply that they should. They're both messaging apps, one for video, the other for text. You'd think they would integrate with each other. But this June support for Duo calls was added to Allo, finally bringing the two together in a meaningful way. Then, after months of repeated teasing, we got a desktop client web client for Allo. It wasn't quite as useful as Hangouts' chrome extension, but it was close enough. And for those that it didn't satisfy, someone even tossed together a wrapper. An incredible amount of progress was made for the app in a very short period of time. Maybe Allo can replace Hangouts for consumers after all? Although Allo has seen plenty of updates and new features, it still doesn’t appeal to me in any useful way. Shortly after that, we were back to sticker updates. The latest update, launched a week ago, added shouting and whispering — or more accurately, arbitrarily large and small text — and smart emoji recommendations to the web client. Not to fault stickers, they're obviously a big part of how Google plans on differentiating Allo from other services. But I hope that Google has some more ideas, because Allo isn't quite there yet. Remember our discussion of the launch, when I said Allo felt a bit like a demonstration? Unfortunately, I think that tech demo image sort of sticks with me, because although Allo has seen plenty of updates and improvements over the last year, it still doesn’t appeal to me in any useful way outside of exemplifying the capabilities of the Google Assistant. Allo has a lot going for it, but from a fundamental perspective, it got a lot of things about consumer behavior wrong. With the Preview Messaging API, Google was hoping that Allo would work over SMS just long enough to convert your friends into downloads. Once both parties have the app, what's the difference between Allo and SMS, right? Well, it turns out that there is a difference, and it's one that consumers appreciate. History might say that Google was right in eschewing direct SMS support. But maybe they can meet the SMS crowd halfway in the meantime. I can't speak to how Google plans on changing Allo in the future, but I can say that when I scroll through my contacts list in the app now, a year after launch, it's still a dead and empty place. Far more of my friends still use Hangouts for personal messages, even though it's been functionally deprecated. Allo isn't a replacement for it, and more and more of them are moving to competing services. I can't say that I have an answer, but for Google, that's still a problem.